We have observed that the assessee has claimed to have sold an agricultural land during the previous year relevant to impugned assessment year , which is stated to be situated near the boundary of Kolat Village and Sanathal Village. The assessee had contended that the assessee had sold agricultural land which is more than 2 km from Sanand Municipal Corporation . The assessee had claimed that the assessee is entitled to the benefit of notification no. 9447 dated 06-01-1994 issued by Central Government and since the assessee land is beyond 2 km from Sanand Municipal Corporation, the assessee is entitled to the benefit of above notification . The assessee has claimed that the sale consideration should be taken to be non-taxable capital receipt arising from sale of agricultural land in accordance with definition of capital asset as contained in Section 2(14) of 1961 Act. However, the relevant certificate from the competent authority has not been submitted by the assessee as required under law for determination of the distance of land in question from Municipality etc. The ld. CIT(A) relied upon the certificate from Executive Engineer, Ahmadabad and of Sarpanch of the Village, who are not competent authority as prescribed under law. The assessee need to produce the said certificate from competent authority as prescribed under law for issue of such certificate. The ld. D.R. submitted that Tahsildar is the competent authority and not the Executive Engineer or Sarpanch, and the certificates issued by them are not relevant. The assessee has to produce the relevant certificate from the Tahsildar measuring distance from nearest Municipality etc. as stipulated u/s 2(14) of 1961 Act. We would also like to clarify that distance between the municipal limit and the agricultural land shall be measured having regards to the shortest road distance, as the impugned assessment year under appeal is assessment year 2011-12 while the amendment to section 2(14) of 1961 Act was brought in by Finance Act, 2013 w.e.f. 01-04-2014 wherein the said distance is to be measured aerially , and the said amendment is held to be prospective by Nagpur Bench of Hon’ble Bombay High Court vide orders dated 30-03-2015 in the case of Smt Maltibhai R Kadu in ITA no. 151 of 2013. This appeal, filed by the Revenue, being ITA No. 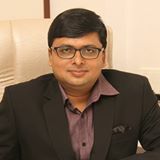 4270/Mum/2015 is directed against the appellate order dated 17th April, 2015 passed by learned Commissioner of Income Tax (Appeals)- 45, Mumbai (hereinafter called “the CIT(A)”), for the assessment years 2011-12, the appellate proceedings before the learned CIT(A) arising from the assessment order dated 28th March, 2014 passed by the learned Assessing Officer (hereinafter called “the AO”) u/s 143(3) of the Income-tax Act,1961 (Hereinafter called “the Act”). “i) On the facts and in circumstances of the case and in law the Ld.CIT(A) erred in deleting the addition of Rs 4,10,14,760/- relying on the certificate issued by Sarpanch of Sanathal Gram Panchayat, Tal: Sanad Dist. Ahmedabad, who is not Competent Authority. ii) On the facts and in circumstances of the case and in law the Ld.CIT(A) failed to justify that whether the land in question comes under the purview of “Capital Asset” as defined in section 2(14) of the IT Act, 1961-.
present case are distinguishable, as in the aforesaid case the Ld. CIT(A) himself personally visited the site and ascertained the distance. We are enclosing here with the photocopy of agreement for Sale of Agricultural land by the assessee. Kindly note that the aforesaid land has been situated 8 km away from Municipal Corporation limit and the population at village is less than 10000/-. Hence the same should be considered as capital receipts and not liable to tax. We are enclosing here with a copy of certificate received from Gram Panchayat in respect of the same. We are also submitting copies of 7/12 and 8-A in respect of the said land. The assessee also submitted certificate from Gram Panchayat mentioning that the agriculture land sold by the assessee had been situated 8 km away from the Ahmedabad Municipal Corporation Limit and the population of the village is less than 10,000. The assessee also submitted Google map showing distance of Sanathal Village from Ahmadabad, considering Ahmadabad Municipal Corporation being the main Municipal Corporation. The AO asked assessee to furnish distance of Sanathal Village from Sarkhej village considering that Municipal Ward is located at Sarkehj Village. The assessee submitted that Sarkhej Village was not being considered as municipal ward at the time when the agricultural land was sold by the assessee. It was also submitted that actual distance between Sarkhej Vilalge and agricultural land of the assessee in Santhal Village is more than 8 km. it was also submitted that agricultural land sold was situated near the boundary of Kolat Village and Santhal Village, and the same being very far from the starting point from Sanathal Village and Sakhrej Village. The satellite maps showing the exact location of the agricultural land and its distance from Sarkhej Village was submitted. It was also submitted by assessee that the agricultural land is adjacent to Gulmohar Greens and Golf & Country Club which is adjacent to the agricultural land sold by the assessee. The A.O. rejected the contention of the assessee on the ground that from the details available on the Google maps, it was seen that the land sold is adjacent to Gulmohor Greens, Golf and Country Club and the land comes with in Municipal Limit of San-and Municipality. The shortest distance of Sanand Municipality to Gulmohor Greens, Golf and Country Club Is 7.1 km, which is less than 8 km. . It was observed by the AO that Sanand is city and the Municipality of Ahmadabad district having the population of 32,348 according to 2001 census. The Map showing the said details were reproduced by AO in the assessment order dated 28-03-2014 . The A.O. observed from the Google maps images that the land sold by the assessee is within the limit of Sanand Municipality i.e. it is 7.1 Km away from the Municipality and is in the Municipal Limit. So as per AO it was not the agriculture land as per Section 2(14) of 1961 Act. Thus, the AO held that income earned by the assessee on the sale of the afore-stated land is not agricultural income and is not an exempt income under the provisions of 1961 Act. The A.O. accordingly computed the long term capital gain earned by the assessee on sale of said land at Rs. 4,10,14,760/- which was brought to tax vide assessment order dated 28-03-2014 passed by the AO u/s 143(3) of 1961 Act. 4. Aggrieved by the assessment order dated 28-03-2014 passed by the A.O. u/s. 143(3) of 1961 Act, the assessee filed first appeal before the ld. CIT(A). 5. Before the ld. CIT(A), the assessee submitted that the assessee had filed before the AO Form No. 8A and 7/12 extract of land from Shri Chimanbhai Solanki, Sarpanch of Sanathal Gram Panchayat regarding distance of his parcel of agricultural land from Sanand Municipal Corporation which is more than 8 kms. . Further it was submitted that as per the Government of India Notification No. 9447 dated 6.1.1994, the notified municipal limit of Sanand is at Sr. No. 34 of the Schedule and the area upto a distance of 2 kms from Sanand Municipal Corporation is to be treated as within municipal limits and above that will be treated as outside the municipal limits. Thus, the assessee submitted that his land is beyond 2 km from Sanand Municipal Corporation and as per Central Government notification no. 9447 dated 06-01-1994 , the assessee’s land shall qualify as agricultural land as per provisions of Section 2(14)(iii)(b) of 1961 Act. The assessee submitted that A.O. relied on the distance from Sanand Municipality to Gulmohor Golf & Country Club as per the Google map. The assessee contended that the A.O. should have taken the distance upto assessee’s agricultural land and not up to the Gulmohor Golf & Country Club. The assesse also submitted a certificate from the Executive Engineer, Ahmedabad specifying that the assessee’s land is situated at distance of more than 8 kms. from Sanand Municipal Corporation. The assessee relied upon decision of Ahmedabad- tribunal vide orders dated 24.01.2013 in ITO v. Ashaben Lallubhai Desai in ITA No. 2122/Ahd/2012 wherein in the identical case , the land situated at 3.3 lm away from Sanand Municipal Corporation was held to be agricultural land as per Section 2(14)(iii)(b) of 1961 Act. 6. The ld. CIT(A) accepted the contention of the assessee that the Gram Panchayat has given the relevant certificate regarding distance of the agricultural land of the assessee from Sanand Municipal Corporation and the notification of the Government of India exists classifying the land beyond 2 kms. from Sanand Municipal Corporation as being agricultural land. The ld. CIT(A) relied upon the decision of Ahmadabad-tribunal in the case of Ashaben Lallubhai Desai (supra) in ITA No. 2122/Ahd/2012 vide orders dated 24.01.2013 and allowed the appeal of the assessee by holding that sale of agricultural land by the assessee is therefore exempt from tax being classified as non-taxable capital receipt, vide appellate order dated 17.04.2015 passed by learned CIT(A) . 7. Aggrieved by the appellate order dated 17.04.2015 passed by the ld. CIT(A) , the Revenue is in appeal before the tribunal. 8. The ld. D.R. submitted that the assessee has sold immovable property during the year which was claimed as an agricultural land being exempt from tax as the same was treated as not being capital asset within meaning of Section 2(14)(iii)(b) of 1961 Act. It was submitted that the ld. CIT (A) has admitted the additional evidences filed by the assessee without remanding the evidences to the A.O. for his comments after examination as stipulated u/r 46A(3) of Income-tax Rules, 1962. It is submitted that the assessee filed certificate from Executive Engineer, Ahmadabad and also relied upon notification no 9447 dated 6.1.1994 to take an additional plea that distance of more than 2 km more Sanand Municipal Corporation is to be taken for determining whether the said land falls within meaning of Section 2(14)(iii)(b) of 1961 Act, which additional evidences/pleas were not taken before the AO and in fitness of things in terms of Rule 46A(3) of 1962 Rules, the learned CIT(A) should have granted opportunity to the AO to give his comments after examination of the additional evidences/ pleas of the assessee, vide Remand Report but the learned CIT(A) just admitted additional evidences/ pleas raised by the assessee for the first time before learned CIT(A) and adjudicated the appeal without granting any opportunity to AO for rebuttal. It is submitted that the competent authority being Tehsildar has not given certificate measuring the distance of the said land from municipality as per the provisions of the Act. The ld. D.R. submitted that Tahsildar is the competent authority and not the Executive Engineer or Sarpanch, and the certificates issued by them are not relevant. The assessee has to produce the relevant certificate from the Tahsildar measuring distance from nearest Municipality etc. as stipulated u/s 2(14) of 1961 Act. 9. The ld. Counsel for the assessee submitted that if the certificate is required from the competent authority as required under law, an opportunity may be granted and the matter may be remanded to the A.O. whereby the assessee can produce the relevant certificates before the AO , which can be verified by the AO.It is also submitted that distance be computed in a manner as laid down in pre-amended Section 2(14) of 1961 as the impugned assessment year under appeal is 2011-12, while the amendments to measure distance between the municipality and the land to be measured aerially was brought by Finance Act, 2013 w.e.f. 01-04-2014. The learned counsel relied upon circular no. 17/2015 dated 06-10-2015 issued by CBDT to that effect. “Agricultural Land” is excluded from the definition of capital asset as per section 2(14)(iii) of the Income-tax Act based, inter alia on its proximity to a municipality or cantonment board. The method of measuring the distance of the said land from the municipality, has given rise to considerable litigation. Although, the amendment by the Finance Act, 2013 w.e.f. 1-4-2014 prescribes the measurement of the distance to be taken aerially, ambiguity persists in respect of earlier periods. 2. The matter has been examined in light of judicial decisions on the subject. The Nagpur Bench of the Hon’ble Bombay High Court vide order dated 30-3-2015 in ITA 151 of 2013 in the case of Smt. Maltibai R Kadu has held that the amendment prescribing distance to be measured aerially, applies prospectively i.e. in relation to assessment year 2014-15 and subsequent assessment years. For the period prior to assessment year 2014-15, the High Court held that the distance between the municipal limit and the agricultural land is to be measured having regard to the shortest road distance. The said decision of the High Court has been accepted and the aforesaid disputed issue has not been further contested. Needless to say that the AO shall grant proper and adequate opportunity of being heard to the assessee in accordance with principles of natural justice in accordance with law . The relevant evidences submitted by the assessee shall be admitted by the AO before adjudication of the issue on merits. We order accordingly. 11. In the result, appeal filed by the Revenue in ITA No. 4270/Mum/2015 for the assessment year 2011-12 is allowed for statistical purpose. Order pronounced in the open court on 3rd April, 2017.